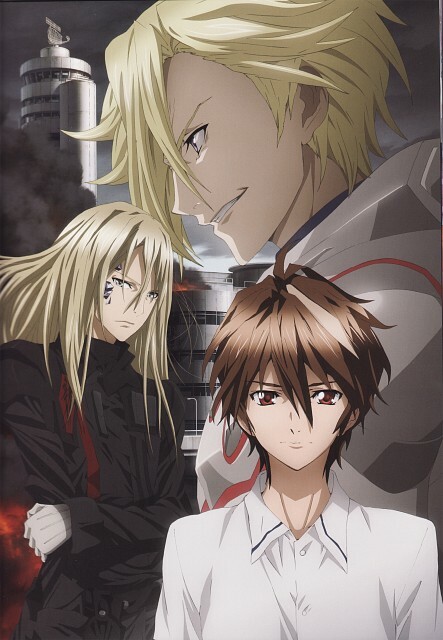 I love it, but I thought it was cleaned by someone.Is it really from Guilty Crown Visual Collection artbook? This art has at least 3 versions, and I own all of them: a page from Animedia magazine (with text), a big poster from the same issue (textless; it is way too big for my scaner anyway) and this page from the artbook. I don't know if this illustration was printed elsewhere. And of course I can scan only the things that I have in my collection. Do you really think that a magazine page could be cleanned so nice and neat? I suppose it would require a lot of vectoring and repainting and that would be obviously visible. It is unpleasant to be occused this way but if you still insist that I was lying about this scan I can take a photo of it. And of any goods that I own. My artbook is losing its pages already because I've scanned several pics from it. happytail73, you'd better apologize and think carefully before judjing someone.